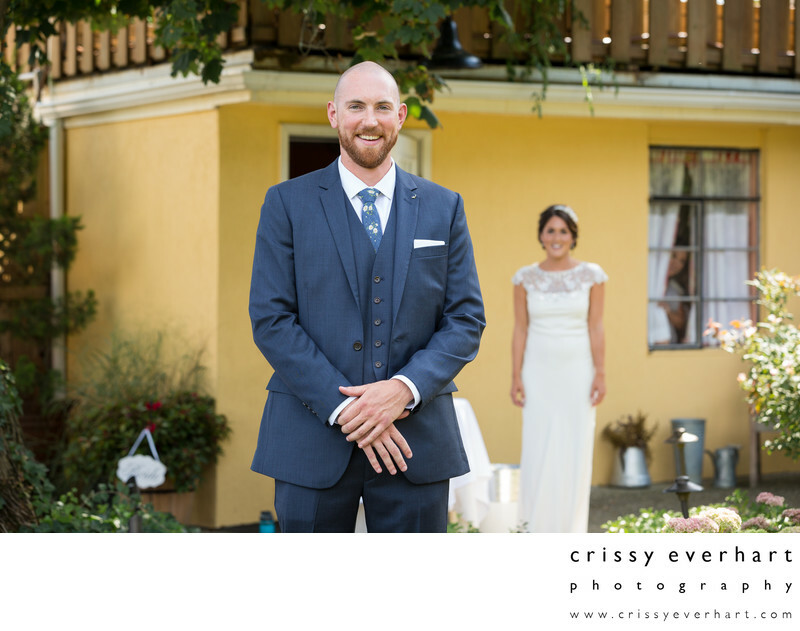 A nervous groom, facing the camera, smiles as his soon-to-be wife walks up behind him for their first look. In the background you see the maid of honor, the bride's sister and a previous bride of mine, peeking out of the bridal suite window at the Gables in Chadd's Ford. The groom is wearing a grey-blue suit and patterned tie and the bride wears a slip on lace top dress that shows her simple elegance and beauty.